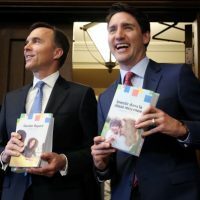 On Feb. 20, the Liberal Party sent an email saying the deadline for signing up new members eligible to vote was Feb. 14. 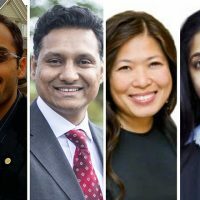 Two candidates seeking the federal Liberal nomination in the vacant Markham-Thornhill, Ont., riding are crying foul over the party’s handling of the nomination process, saying the party is “doing everything they can” to get Prime Minister Justin Trudeau’s director of appointments, Mary Ng, elected as the candidate in next weekend’s nomination meeting. Juanita Nathan, a Markham school board trustee, who is also running for the nomination, said she’s holding a press conference on Monday, Feb.27 to express her “serious concerns” about how the party is trying to get Ms. Ng elected as the Liberal candidate in the riding. “I strongly feel the voice of the electorate must be heard and that it is imperative to the democratic process that all nomination candidates have an equal and fair chance to be selected to represent their political party in the upcoming by-elections,” Ms. Nathan told The Hill Times. 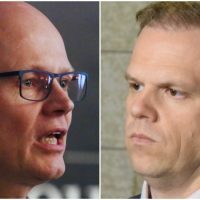 The two candidates expressed concerns about the fairness of the process last week after the party retroactively imposed a deadline for newly signed members to be eligible to cast votes in the nomination contest. On Monday, Feb. 20, at about 7 p.m., the party sent out an email to Markham-Thornhill Liberal Party members, advising them that the nomination meeting will take place on Saturday, March 4. 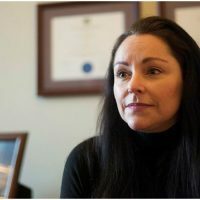 The same email also informed the riding association that only the members who signed up with the party by Feb. 14 are eligible to vote in the nomination contest. Both Mr. Qureshi and Ms. Nathan said they did not know in advance that the cut-off date would be Feb. 14. Both candidates signed up more than two thousand members in total, but could not submit those memberships to the party because of the retroactive deadline. This means their newly signed up members will not be able to cast their votes in the nomination contest. “What’s the logic behind the Feb. 14 deadline?” Mr. Qureshi said. He said he questioned the Liberal Party about why the deadline was not announced in advance but never received any response. 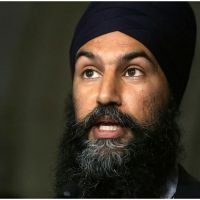 Mr. Qureshi said he’s disappointed with the way the party has run the nomination contest and now he’s considering running as an Independent in the byelection. “I’ve already started exploring the idea of running as an Independent candidate,” said Mr. Qureshi. 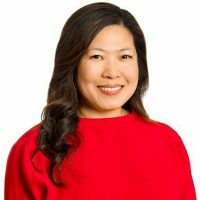 Ms. Ng was not available for an interview with The Hill Times last week, but a spokeswoman for her campaign in an emailed response did not directly address allegations of rigged nomination process. 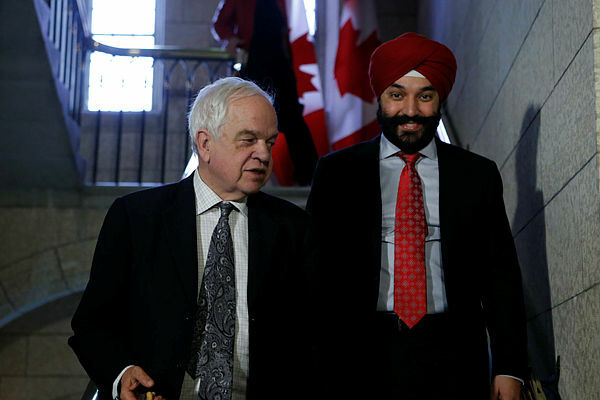 The nomination for this riding opened after Mr. Trudeau appointed former Immigration minister John McCallum as Canada’s ambassador to China last month. 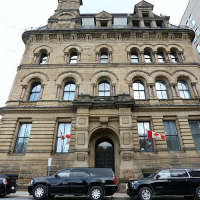 The Liberal Party is holding the nomination meeting to elect the candidate on Saturday, March 4 while the byelection is scheduled for April 3. 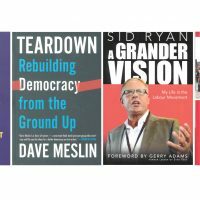 Even before the nomination contest opened up officially in the riding on Feb. 10, some potential candidates were not sure that the party would hold a fair, open, and transparent contest giving all candidates an equal opportunity. 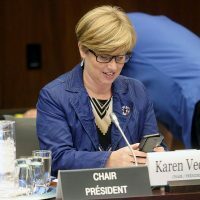 After Ms. Ng, a close friend of Katie Telford, chief of staff to the prime minister, made her candidacy official on Feb. 15, several decided not to pursue the contest, privately saying it’s pointless to run because the party has decided it wants Mr. Trudeau’s senior adviser as the candidate. 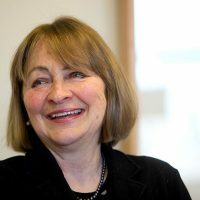 Ms. Nathan and her supporters reached out to numerous Liberal MPs and the top party leadership, requesting intervention to get a fair nomination contest. When all attempts failed, she decided to hold a press conference. 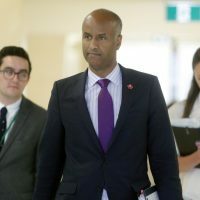 Braeden Caley, the federal Liberal Party’s senior director of communications, also did not directly address allegations of a rigged nomination process allegations or why the party imposed a retroactive deadline. 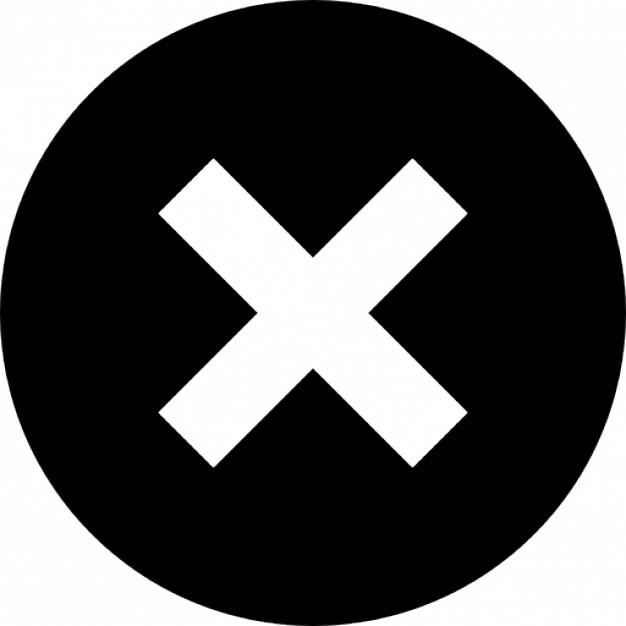 Mr. Caley did not say how many candidates have been green-lighted by the party. Ms. Alvaro confirmed to The Hill Times that Ms. Ng had been approved, while Ms. Nathan and Mr. Qureshi said they were still waiting for the party’s verdict, as of deadline last week. This means only Ms. Ng has so far had access to the complete riding association membership list, while the other two potential candidates had the list of only their own supporters. It’s unclear if there are others besides these three running for the nomination. Pierre Bocti, president of the federal Markham-Thornhill Liberal riding association, did not respond to an interview request last week. Ms. Ng has about 20 years of public service experience and is the highest-ranking Chinese-Canadian to have ever served in the Prime Minister’s Office. 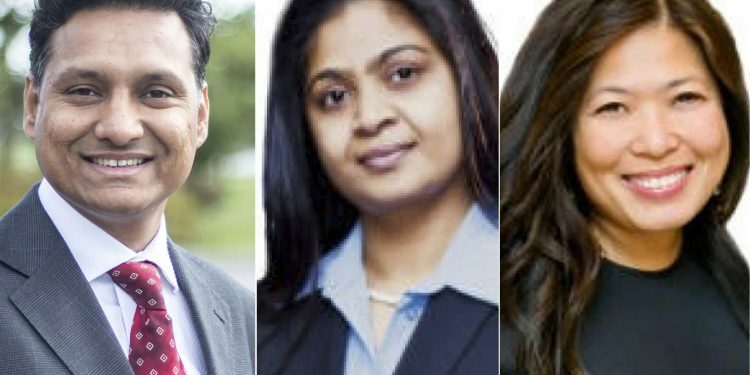 Markham-Thornhill, a riding that was rejigged prior to the 2015 election, is one of the most ethnically diverse ridings in the country with an 82 per cent visible-minority population. 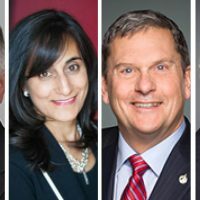 The two highest visible-minority groups in this riding are Chinese with 35.2 per cent of the population and South Asians with 30.8 per cent. 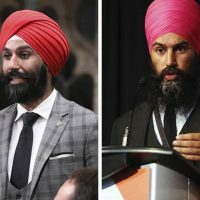 This riding has the third-highest visible minority population in the country after Scarborough North, Ont., which has 90.1 per cent, and Brampton East, Ont., with 87.6 per cent, according to data compiled by multiculturalism author and commentator Andrew Griffith. Mr. McCallum won the riding in the last election with 55.7 per cent of the vote. 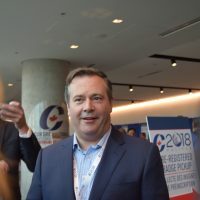 Second-place Conservative candidate Jobson Easow won 32.3 per cent, and third-place NDP candidate Senthi Chelliah received 10.7 per cent. If Mr. Qureshi proceeds with his plan to run independently in the upcoming byelection, it’s not clear how it will impact the Liberal Party’s chances of winning this riding again. The Markham businessman said he’s not concerned whether he’ll win this riding or not. 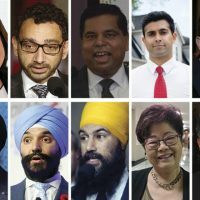 There are 33 ridings in the country with visible-minority populations of more than 50 per cent, most of them in the Toronto or Vancouver areas. Of these, there are three ridings where this proportion is more than 80 per cent, all of which are in the Greater Toronto Area. Other than Markham-Thornhill, four more ridings are vacant, including: Ottawa-Vanier, Ont. ; Calgary Heritage, Alta., Calgary Midnapore, Alta; and Saint-Laurent, Que. Last week, Prime Minister Trudeau called byelections in all five of these ridings, and fixed April 3 as the election day.